It used to be extremely complicated and challenging to become a published fiction author or writer of nonfiction. The cost of printing a traditional book can be prohibitive, and to find a publishing company to print it for you can be difficult. Even if you do find one, the publisher will usually take almost all of the profits and leave you only a small percentage. Or, if you want to get published in a magazine, you have to market yourself as an accomplished writer. But with electronic books or magazines you can be your own publisher, whether you’re writing a how-to book, a memoir, a novel, an article, or a book of poetry. There are also lots of great software options for self-publishing. If you are an Apple computer user, iBooks Author is a convenient solution that lets you create e-books that can also boast interactive content. 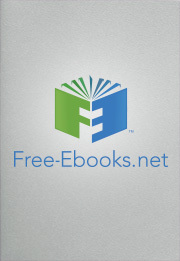 The software is available for free at the Mac App Store, and you can create e-books that can be downloaded on devices including Mac computers, iPads, and iPhones. You can even put your book on iTunes. Using iBooks Author you can drag and drop Microsoft Word documents right into your book as you create it. You can also use that same easy drag-and-drop feature to add images, and the text that is on the page will be automatically formatted so that it wraps around your photos or images for easy reading and a polished, professional look. To really make your e-book engaging, you can add video, 3-D imagery, and more. During the editing process, you’ll be able to view your progress by previewing the book on your Apple device. Once you’re done you can submit it to iBooks so that people can either download it for free or buy your new e-book. If you decide to publish more than one book, iBooks will alert your readers each time you have a new title ready to read. Another tool for creating interactive e-books is Kotobee, which is designed for ease of use whether you are a beginner or have more advanced technical skills. Kotobee is most popular with writers and authors of material that is educational, because the features work really well for teaching and learning. You can embed videos, for example, or other interactive images. There are convenient tools for students, like the ability to take notes or highlight text as your read. You can do searches within the e-book, and you can also bookmark pages. You can even create e-books that incorporate the ability to look things up on Google or Wikipedia. Meanwhile whatever kind of Kotobee content you create can be read and used both online and offline. Either way, the content and whatever interactive elements you incorporate into it will be accessible. If you are doing interactive teaching sessions, you can store the content in the cloud and give your students or other users access to it through a promotional code or a password. You can sign up to use a basic version of Kotobee that costs $100 for a lifetime subscription, or $300 for a lifetime premium version. You may also want to publish not just books but magazines. If you have conten in PDF files that you would like to share with others, Flip PDF is a software program that can turn those ordinary files into digital magazines. Flip PDF offers hundreds of pre-designed professional templates, with various backgrounds and themes. You can use this method to promote your writing and build your brand around various articles and topics. Or you can sell the magazines to readers on a subscription basis. Once the ordinary PDF files are converted they can run on virtually any device, such as an iPad or Android phone, and you can also include audio. There is no programming involved, so the conversion software is user-friendly. Once your content is created and converted from PDF to Flip PDF, you can distribute it across the internet, send your e-magazines by email, or download them to a storage device like a USB drive. You can also share your e-magazines on social media platforms like Facebook and track how many times each magazine or article is viewed, by linking the Flip PDF book to Google Analytics. The cost of Flip PDF is $99.